We are pleased to confirm that ASCA will be offering a NEW Professional Artisan Cheesemaking Workshop with Ivan Larcher in November in Melbourne. ASCA arranges for Ivan to visit Australia twice a year. These workshops are a great opportunity for Australian artisan cheesemakers to access Ivan’s expertise, expertise which is not available elsewhere in Australia. Perfect for professional cheesemakers or those who want to become professional cheesemakers, and who want a structured small-scale classroom-style workshop over 2 days to learn what is required to make great artisan cheese. Or for those who want a refresher on professional artisan cheesemaking, including the latest tips and techniques for improving artisan cheese outcomes. Led by world-renowned master cheesemaker and educator, Ivan Larcher, this workshop will provide you with the practical and scientific knowledge needed to create exquisite small-scale artisanal cheese. use those techniques and tools to further develop and improve their cheeses. We will examine a selection of commercially available small-producer Australian cheeses for this purpose, and Ivan will explain how you can use the various techniques and tools to improve their characteristics and qualities. For those of you willing to do so, we will include your cheeses. We will also cover butter if enough attendees are interested. comparison between healthy zone and zone with defects. Understanding flavours/smells in cheeses during ageing (proteolysis, lipolysis, glycolysis), how to identify them by the nose/tongue, and how to enhance, avoid or adjust them in cheesemaking. Developing and using spider graph organoleptic profile for organoleptic characteristics and how to use variations to adjust your cheesemaking. IN PRACTICE: Use actual cheese values / defects / spidergraph profiles of existing cheeses and recommendations : live exercises. Part of the workshop will be set aside for Ivan to address individual cheesemakers' issues - issues might be specific to a style of cheese, general or specific issues in the cheesemaking process or problems or opportunities facing cheesemakers. Ivan teaches the methods and tools used by the great cheesemakers of the world, in a practical way that enables cheesemakers to apply the techniques to their own cheesemaking. They do not require you to buy expensive equipment. ASCA gratefully acknowledges the sponsorship of the RASV in hosting this workshop. We look forward to seeing many members at these workshops, which will also serve as important networking and information-sharing sessions for our Cheesemaker and Start-Up Cheesemaker members. By way of background for those who don't know him, Ivan is a world-renowned cheesemaker, educator and consultant. He visits Australia twice a year exclusively for ASCA to work with our cheesemaker members. Many of you have participated in Professional Cheesemaking Workshops we have run with Ivan in previous years in Sydney, Melbourne, Brisbane and Adelaide. Others would have experienced his one-on-one consultancies or his various NCDE webinars. 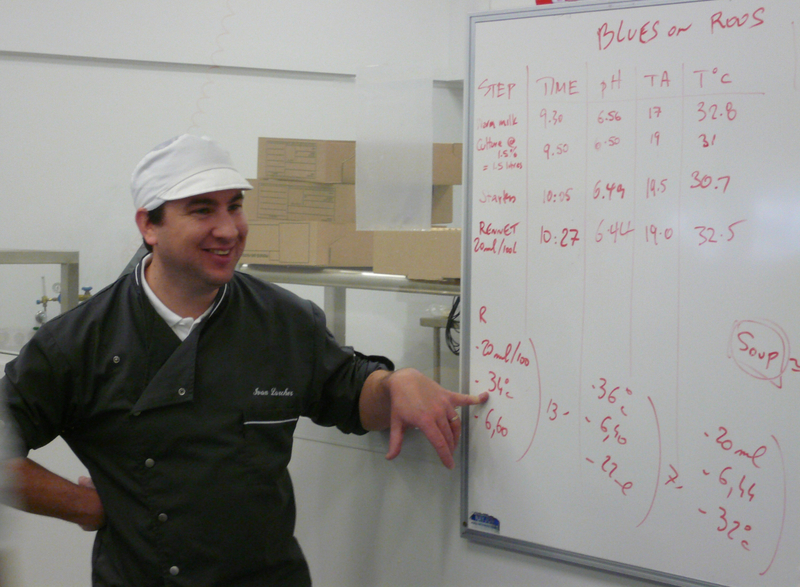 The feedback is that Ivan's practical expertise and ability to communicate it to our cheesemakers is outstanding. A typical comment was "I can highly recommend him and really no one in our industry should miss this opportunity." See here for more comments from ASCA cheesemakers about Ivan's teaching and expertise. Ivan's expertise is highly sought-after throughout the world, so it is difficult to get as much of his time as we would like. This is particularly now that he runs his own small dairy and cheesemaking business on the farm owned by he and his wife, Julie, in central France. Indeed, he has pulled out of much of the consulting and teaching work he did for many years in the UK and the US so that he can focus on his new business - and on Australia. Ivan is committed to continuing to visit Australia twice a year (and hopefully more often in future) to work with our cheesemakers and contribute to our growing artisan cheese industry.